​Pool fencing Ipswich. Aluminium, Glass Fencing. Tubular Pool Fencing. Our beautiful Ipswich Fenceing range of aluminum , glass and tubular steel Pool Fences with massive selection of colors and styles will be just the addition you need your backyard to pull everything together to give it that sub tropical Ipswich Pool feel. Imagine sitting by the pool sipping a beer in the hot Queensland sun enjoying your Ipswich Fences pool fence, relaxing in the knowledge that your pool is council Brisbane fencing compliant that your family will be safe no matter what. We used toughened glass panels and solid quality colorbond or timber fencing combinations, custom made to cater to your pool and backyard area. Brisbane Fences custom frameless glass pool fence system has a stylish look to keep your backyard looking open and vast. Our wide selection of posts are also powder coated to your specification to match the look you want and also ensure they are up to that task of widthstanding Ipswich's weather as well as the rouge splashes from chlorine and salt water pool water. Your Fences Ipswich Pool Fence will stand the test of time. 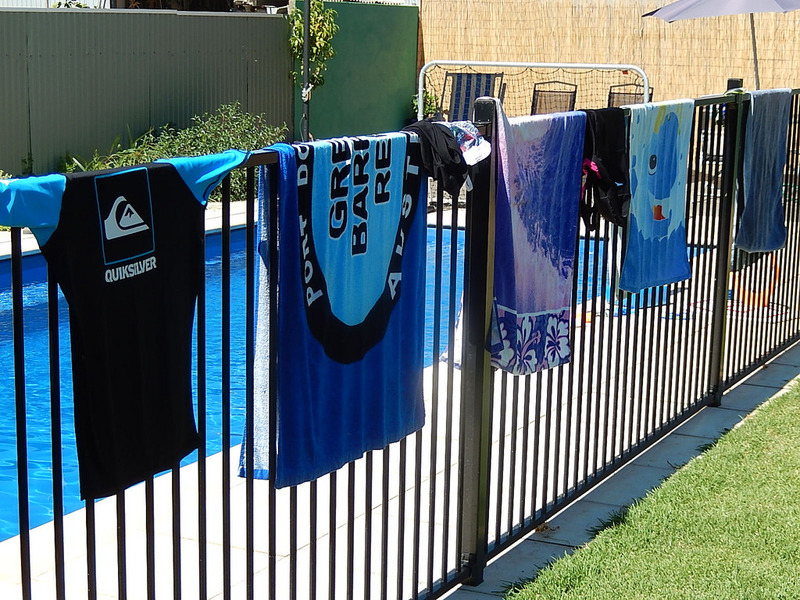 Like all our work, our pool fencing is compliant with all Australian, Queensland and Ipswich City Council regulation to keep your family safe for years to come. Ipswich City Fencing regulations can be quite difficult to navigate but we will help guide you through the process to ensure your pool fence is up to code.